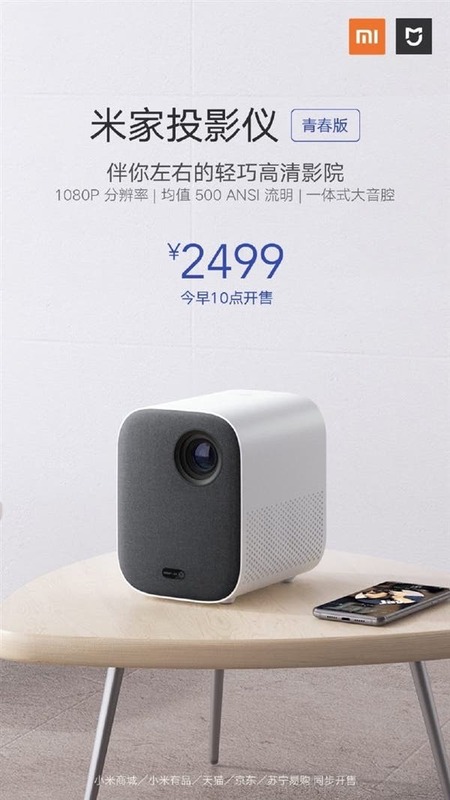 Today, Xiaomi Mall officially announced that the Xiaomi Mijia projector youth version went on sale and it has a 2499 Yuan ($368) price tag. This projector supports 1920×1080 resolution and it is also compatible with 4K resolution. The Xiaomi Mijia projector (Youth Edition) is a relatively compact product that can be moved inside the house easily as its height is 15cms. It can project images up to 120-inch or even larger screens with a resolution of 1080P+. 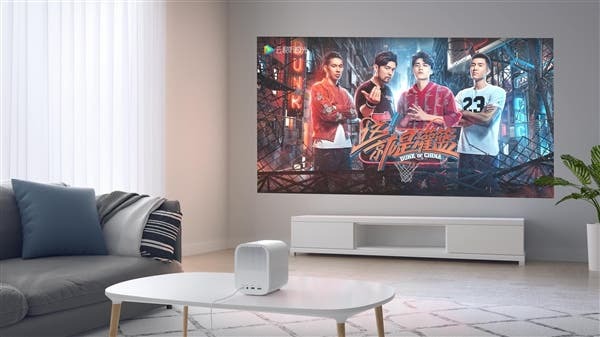 The Xiaomi Mijia projector youth version uses an LED light source and can brighten up to 500 ANSI lumens and also supports HDR10 technology for crisper and contrasty images. 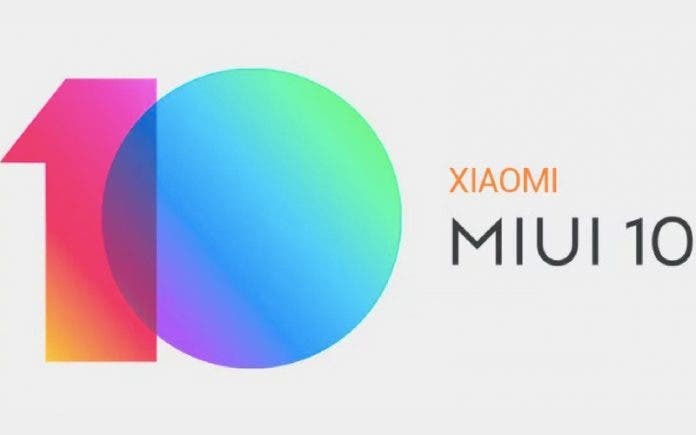 On the software side, it runs MIUI TV operating system. The new Mijia projector also frees the buyer from purchasing a separate Bluetooth speaker as it can connect with a smartphone for audio. It has a built-in low-frequency 90Hz sound box. The sound box is compatible with Dolby and DTS decoding. Additionally, the Mijia Projector has dual-band Wi-Fi, with 3.5mm headphone port, USB3.0 interface and HDMI interface on the back. In addition, the official emphasizes that the Mijia projector youth version uses the diffuse reflection principle imaging. Unlike the direct light of traditional LCD TVs, the projected light is diffusely reflected into the human eye, which is less prone to eye fatigue and more care for children, middle-aged and older people.